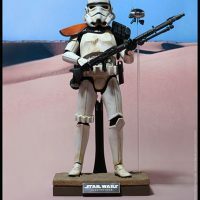 The Star Wars Sandtrooper Sixth-Scale Figure is so detailed you’ll almost feel the twin suns of Tatooine blasting down on you. 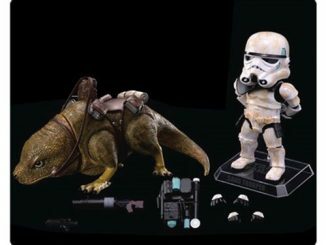 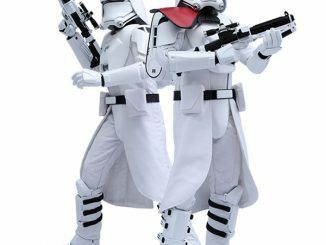 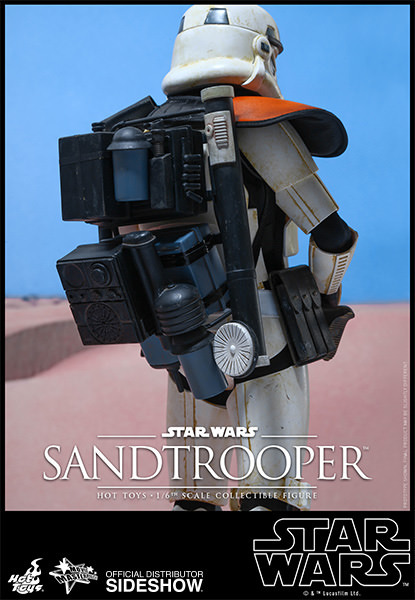 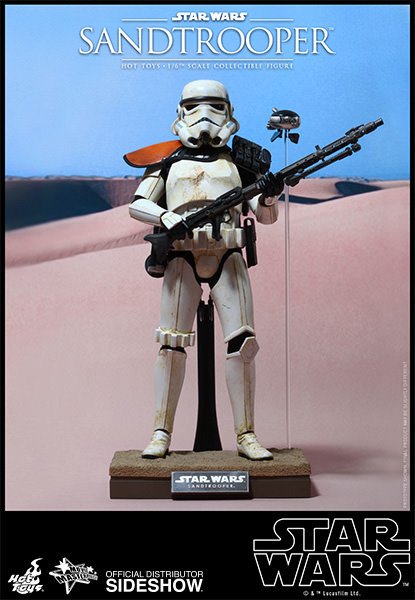 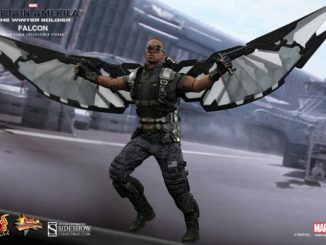 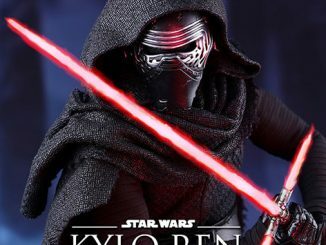 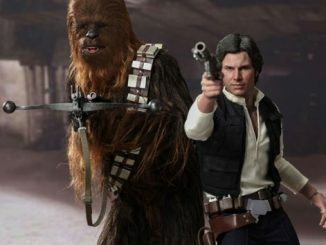 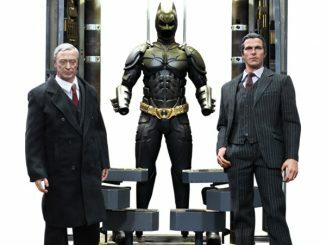 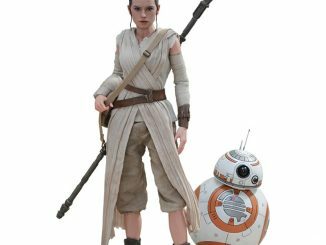 Based on the Tatooine Squad Leader seen in Star Wars Episode IV: A New Hope, the figure stands 11.81-inches-tall, has 3 types of blasters, a survival backpack, and a Patrol Droid (from the Special Edition of the film). 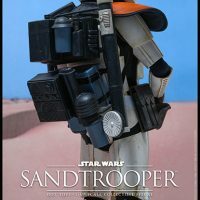 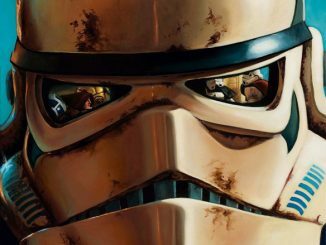 If a Sandtrooper gets caught in a sandstorm, does he become a sandstorm trooper? 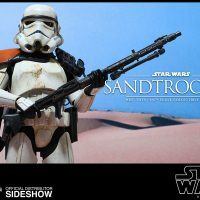 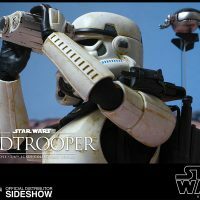 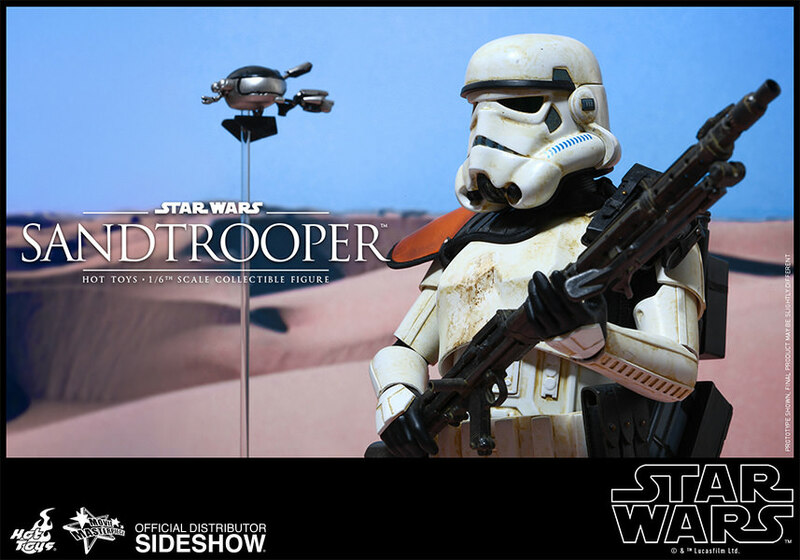 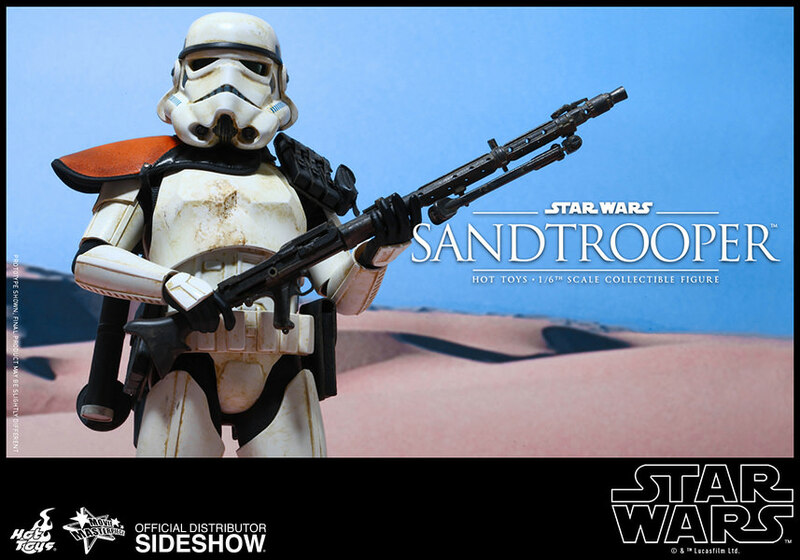 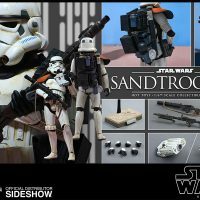 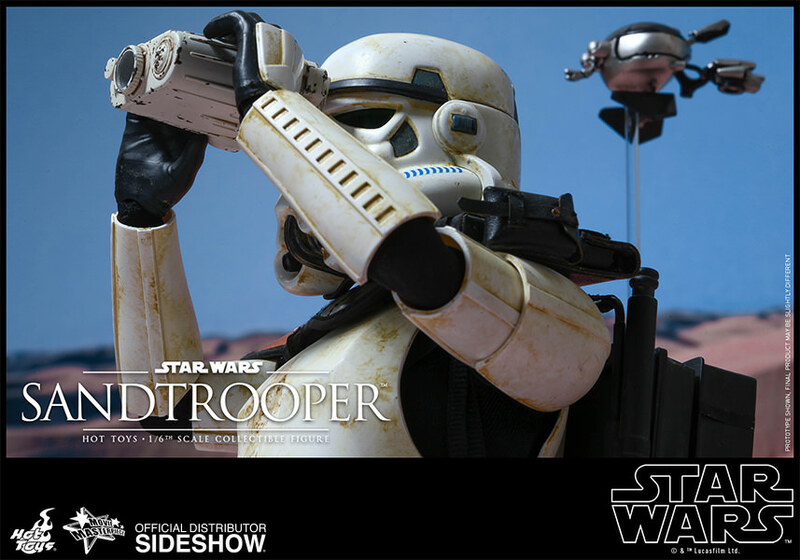 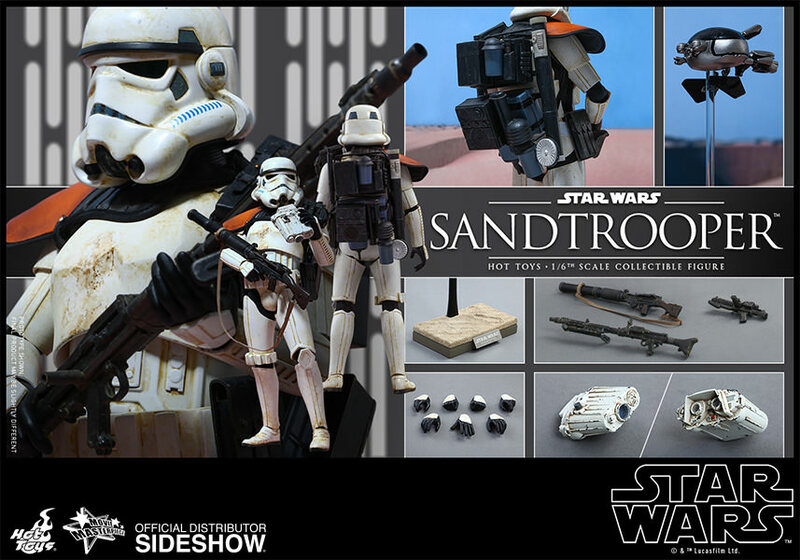 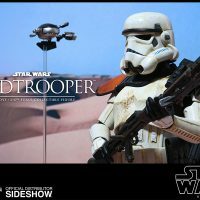 The Star Wars Sandtrooper Sixth-Scale Figure will be available Dec 2015 – Feb 2016 but it can be pre-ordered now for $219.99 at Sideshow Collectibles.